Vickie's Kitchen and Garden: Francesca Battistelli's New Album, Own It, releases October 26th! 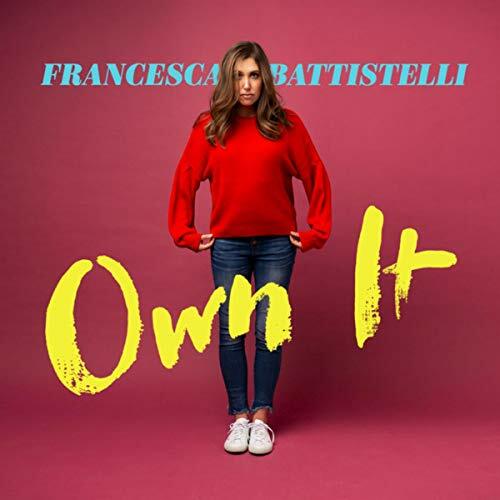 Francesca Battistelli's New Album, Own It, releases October 26th! Francesca Battistelli's new CD, Own it, is ready to release this Friday, October 26! I was given the opportunity to go see Francesca Battistelli last Saturday evening with my daughter. I have heard her music coming out of the youngest daughters room many times, so I couldn't wait to go! So exciting! She has a wonderful powerful voice and the music has a great beat. You can tell she really loves to sing and she has some great meaningful lyrics on her songs. Her songs to me are about real life and how God can carry us through. Just be prepared her songs will stick with you and you'll sing them over and over. They will uplift and encourage you as you go through everyday trails. One of my favorite songs from the new album is, The Breakup Song. You can listen to The Breakup Song here, just press on the play button down on the bottom of the page. I've been listening to it over and over as I write this, it's just one of those songs you don't forget. I was apart of the VIP group that met with her before the show started. She told some stories about her family and answered questions from the audience. I loved seeing her more one on one and getting to know a little bit more about her. She had some great stories and testimonies. What a great, great show! This is a sponsored post and I was given the tickets by Word Entertainment. This is my own opinion of how much I loved her music!